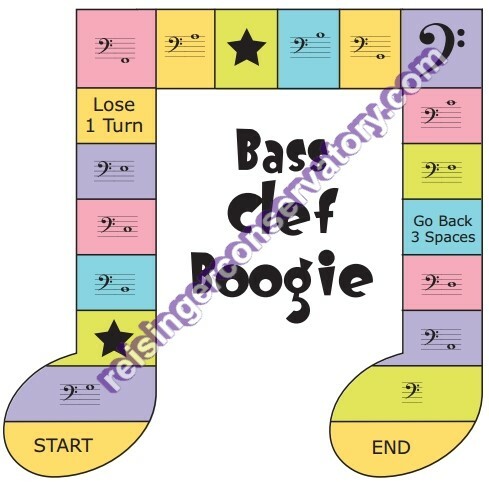 Students will love this game as they work their way down the tracks learning their treble clef notes along the way! Even beginning students who do not yet know how to read notes can name line or space note until they learn the alphabet names. 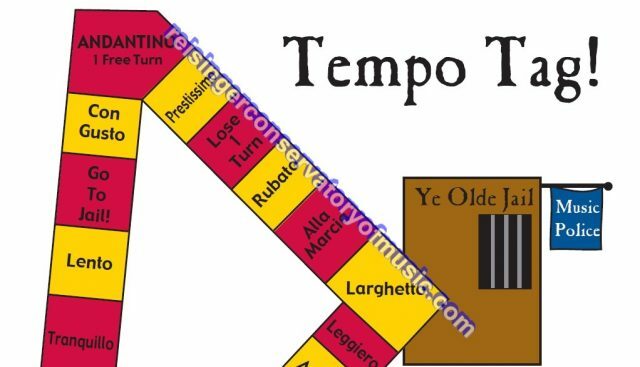 The game will be a studio favorite among students. 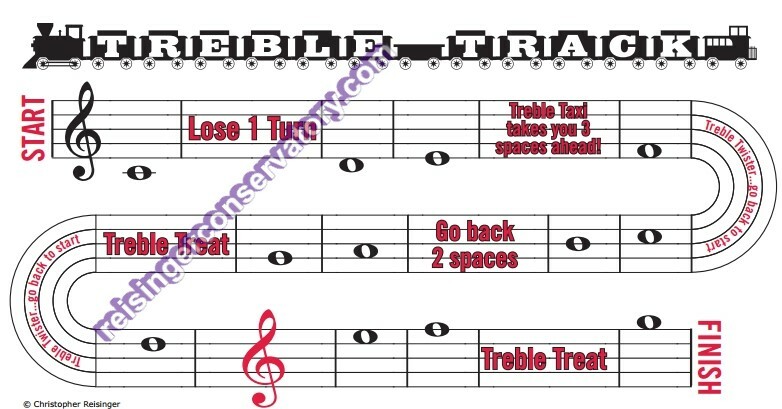 If the student lands on a treble treat, the instructor gets to choose what (fun) feat the student will perform. 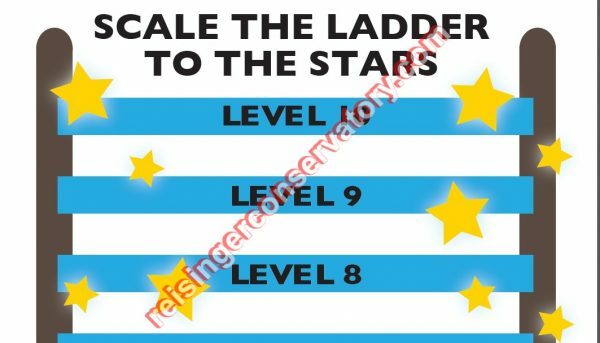 The instructor can also choose to give a reward on the Star. 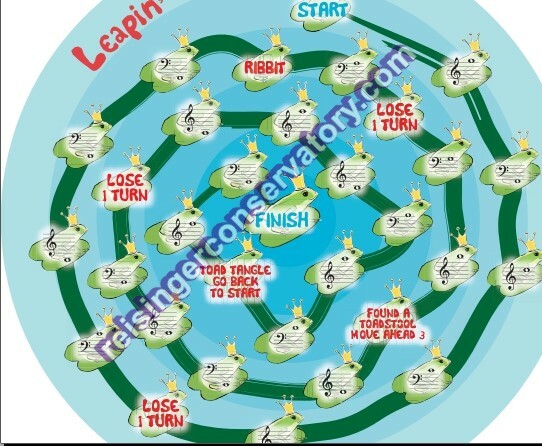 If the student lands on Treble Twister they must go back to the beginning of the game and start over. 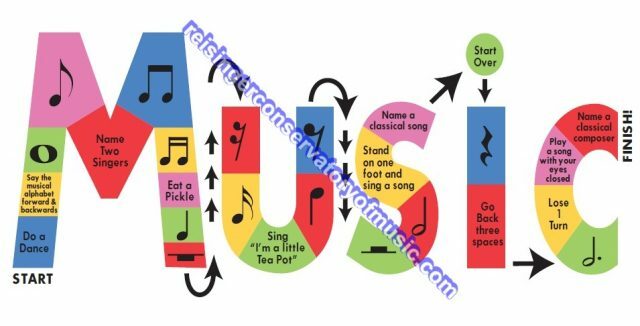 to reinforce and learn the notes of the Treble Clef.